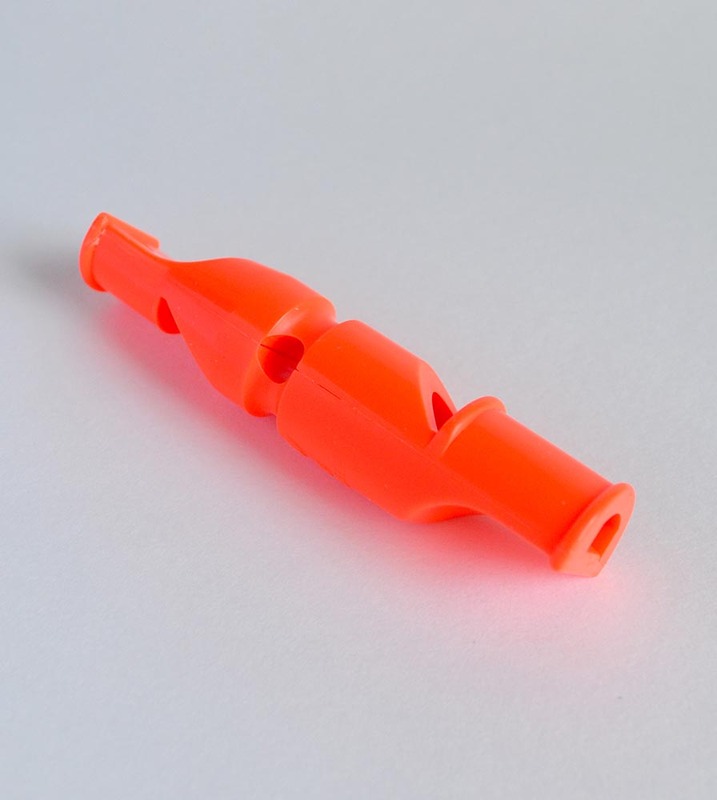 Two in one whistle with high and standard frequency for two distinct commands. Medium/High tone. Orange color.